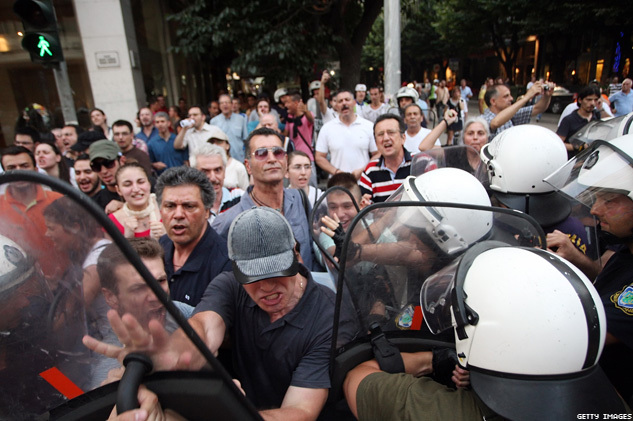 Police say about 50 people threw eggs and plastic bottles of water at about 400 people holding a gay pride parade in the northern Greek city of Thessaloniki. Police moved in to restrict the attackers on Saturday, but no injuries were reported. In recent days, Anthimos, the senior Greek Orthodox cleric in Thessaloniki, had publicly criticized the planned gay pride parade. Anthimos, who only uses one name, is known for outspoken speeches on social and political issues.